But I can say this: she is one of the most famous people on the planet at the moment, not only in the U.S. but globally. She's at the pinnacle of her career in every way: not only is she world famous, she's also very wealthy, beautiful, has the idealized body that so many clamor for, and seems from the outside to live a completely charmed life--the sort of life that those reading gossip and celebrity magazines fantasize about having for themselves. My friend asked her if she was happy with something he had just done for her. She replied, "I'm NEVER happy!" and the clear implication was that meant with anything, ever. It was a statement of her general mindset and orientation. 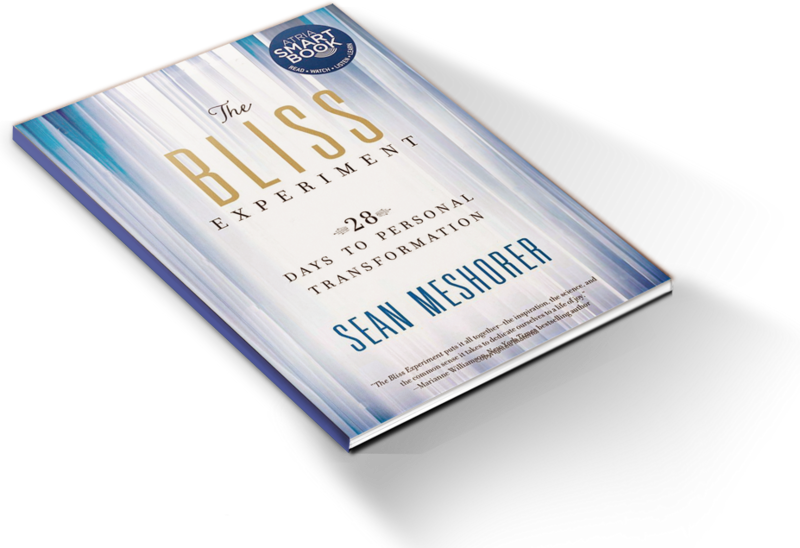 When you read first section of The Bliss Experiment--and hear the stories like that of Lyle the mega-millionaire or Max the famous rock star--the reasons for this aren't surprising. The truth is that nothing external, not fame, nor wealth, beauty, youth, or anything else can give us happiness let alone bliss. Of course, I immediately felt very badly for this poor woman who is never happy despite her outward circumstances because I got the distinct feeling that she's trapped. She doesn't know what to do or where to go to find the deep, abiding happiness that she seeks. While many might find her emphatic declaration of anti-happiness a shame or sign of being a spoiled diva, for me it only evoked deep compassion. I know what she's going through and I don't wish her suffering, I just wish she could find her way out of it. The other startling thing about it is that this person's entire public personna is based upon being up-beat, perky, smiley/happy/shiny. In person, it's really clear to a discerning person that the whole thing is a facade, it's almost like a character she plays for public consumption. But that just makes it all the more painful, I'm sure, for her: having to constantly pretend to be something she just isn't and doesn't really even understand. As well, it's a reminder for all of us not to assume, let alone judge, what's truly going on inside someone else. No matter how they might look from the outside, especially at a distance, we just can't know their inward reality. We shouldn't ever want someone else's life, no matter how great we think it might be. Instead, we need to find our deepest, most authentic selves within and live that life to the fullest.